Gropius's career advanced in the postwar period. Henry van de Velde, the master of the Grand-Ducal Saxon School of Arts and Crafts in Weimar was asked to step down in 1915 due to his Belgian nationality. 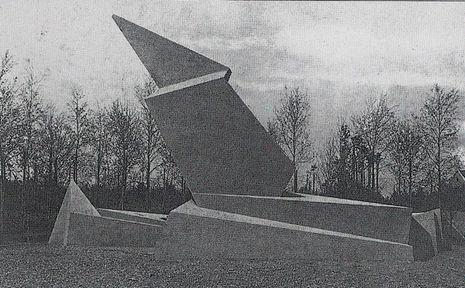 His recommendation for Gropius to succeed him led eventually to Gropius's appointment as master of the school in 1919. It was this academy which Gropius transformed into the world famous Bauhaus, attracting a faculty that included Paul Klee, Johannes Itten, Josef Albers, Herbert Bayer, László Moholy-Nagy, Otto Bartning and Wassily Kandinsky. 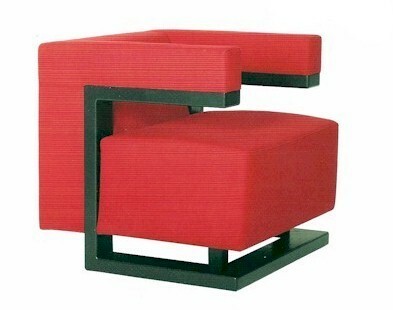 One example was the armchair F 51, designed for the Bauhaus's directors room in 1920 - nowadays a re-edition in the market, manufactured by the German company TECTA/Lauenfoerde. The Staatliche Bauhaus resulted from the merger of the former Grand-Ducal Saxon Academy of Art with the former Grand-Ducal Saxon School of Arts and Crafts in conjunction with a newly affiliated department of architecture. The Bauhaus strives to bring together all creative effort into one whole, to reunify all the disciplines of practical art-sculpture, painting, handicrafts, and the crafts-as inseparable components of a new architecture. The ultimate, if distant, aim of the Bauhaus is the unified work of art-the great structure-in which there is no distinction between monumental and decorative art. 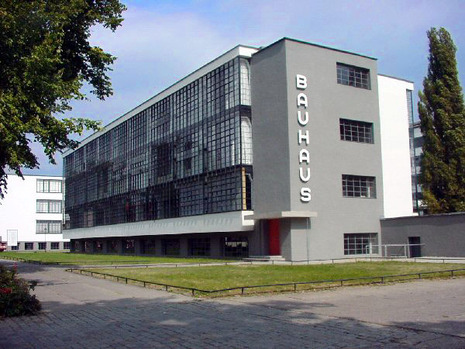 The Bauhaus wants to educate architects, painters, and sculptors of all levels, according to their capabilities, to become competent craftsmen or independent creative artists and to form a working community of leading and future artist-craftsmen. These men, of kindred spirit, will know how to design buildings harmoniously in their entirety-structure, finishing, ornamentation, and furnishing. Art rises above all methods; in itself it cannot be taught, but the crafts certainly can be. Architects, painters, and sculptors are craftsmen in the true sense of the word; hence, a thorough training in the crafts, acquired in workshops and in experimental and practical sites, is required of all students as the indispensable basis for all artistic production. Our own workshops are to be gradually built up, and apprenticeship agreements with outside workshops will be concluded. Avoidance of all rigidity; priority of creativity; freedom of individuality, but strict study discipline. Master and journeyman examinations, according to the Guild Statutes, held before the Council of Masters of the Bauhaus or before outside masters. Collaboration by the students in the work of the masters. Securing of commissions, also for students. Mutual planning of extensive, Utopian structural designs-public buildings and buildings for worship-aimed at the future. Collaboration of all masters and students-architects, painters, sculptors-on these designs with the object of gradually achieving a harmony of all the component elements and parts that make up architecture. Encouragement of friendly relations between masters and students outside of work; therefore plays. lectures, poetry, music, costume parties. Establishment of a cheerful ceremonial at these gatherings.